Yesterday Pandora added some levity to its lineup, by adding 10,000 clips by 700 comedians to its offerings. The clips will be available in much the same way that songs are – searchable by artist, genome coded so that listeners can indicate some preferences and then get personalized suggestions for similar artists. Clips that I sampled were coded for featuring anecdotes, satirical observations, 2000s era comedy, jokes about personal relationships, male perspectives, sexual jokes, jokes about government, and sarcastic delivery. Also added are new Comedy genre channels, ranging from Today’s Comedy to Golden Oldies Comedy and lots in between – 12 new comedy channels in all. Pandora Founder Tim Westergren told The New York Times that “this is a logical step under the umbrella of personalized radio.” The launch comes complete with advertising sponsors – the free comedy streams will be supported by two Unilever brands with a penchant for comedic advertising: Klondike bars and Axe male grooming products. All of the clips appear to be sound recordings, and thus are covered by DMCA performance royalties. That means that there’s no savings to Pandora when a listener chooses a comedy clip over a song, is is sometimes the case with talk programming. Pandora’s not the first to offer comedy channels to its listeners. 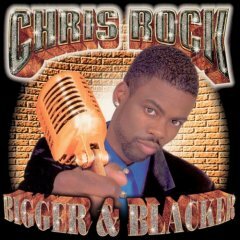 Slacker Radio has had comedy available for a while and offers two comedy channels as well as custom, user created comedy channels such as Prank Call Radio. Slacker’s most popular comedy station ranks in the top ten among their more than 140 curated (or genre) stations. “As we have had great success over the past 4+ years delivering curated and personalized comedy stations to our listeners, it comes as no surprise that Pandora is making an entrance here.” according to Jonathan Sasse, SVP Marketing. Slacker is planning soon to launch hosted stations by leading comedians to further extend their comedy offerings.